The Montepiedra Hotel is located in Dehesa de Campoamor, a special place to celebrate your wedding in Alicante. Around the Montepiedra Hotel you will find abundant greenery and splendid views of the Mediterranean. Located in the Region of Valencia, on the sea, Montepiedra Hotel opens itself to the surroundings and to nature, giving the bride and groom an exceptional sensation of serenity and tranquility, topped off by the spectacular views on offer of white sandy beaches blending into green pine woods and ample mountainous slopes. At Spain Sunny Wedding we organize your wedding in the Montepiedra Hotel. Our wedding planner has extensive experience in giving couples the tailor-made wedding they desire. Your wedding will be arranged according to the bride and groom’s tastes and preferences. In our hotel we take care of every last detail to ensure that your day will be unique and special. Tell us what you want and we will make your dreams come true at the Montepiedra Hotel. Your only job will be to enjoy yourselves and to invite the most important people whom you want to accompany you on one of the most important days of your lives. Montepiedra is a hotel in Orihuela Costa, specifically in la Dehesa de Campoamor, a quiet little town near Alicante, bathed in the Mediterráneo. 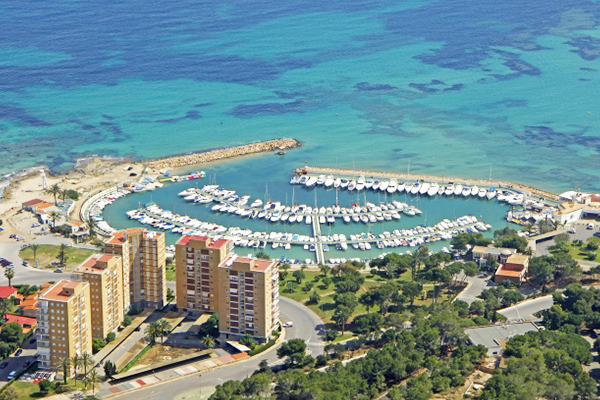 The hotel is just 200 metres (240 yards) from the sea and around 10 km (7 miles) south of Torrevieja. 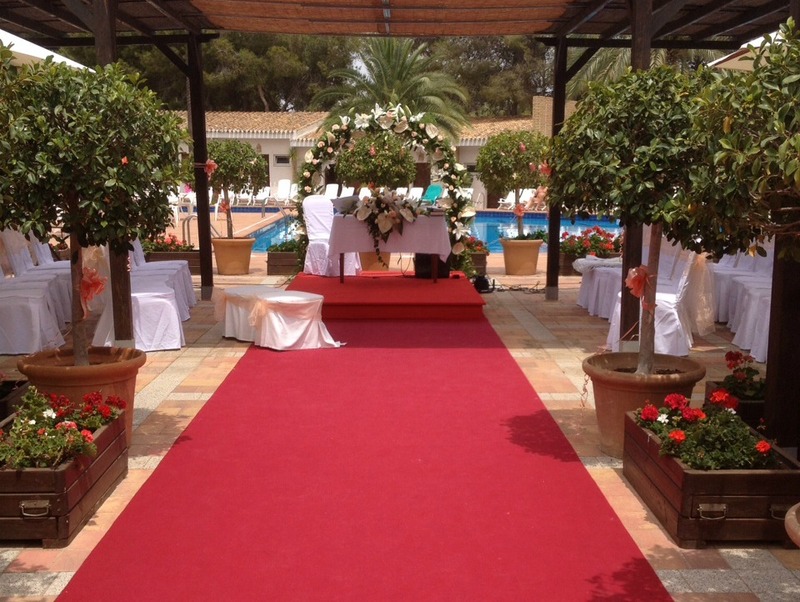 It is an ideal place to have your wedding on the Costa Blanca. With a great atmosphere and wide, open spaces, our hotel in Orihuela Costa gives you over 60 well-equipped rooms with living room and terrace, all on the ground floor and surrounded by gardens so that both the bride and groom and their guests can stay before and after the celebration. Any golf fans among your party can also enjoy any of the four golf courses in the immediate surroundings, all less than 10 km (7 miles) from the hotel.